BOSS quality starts from the ground up. Years of being in the construction industry will teach you on thing … “One size does not fit all”. There is a huge gap in the industry standard that we have chosen not to participate in. Below are a few of our key strength advantages. 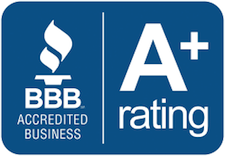 When talking about barn quality, the number one question we are asked seems to be about the quality of metal we use. A common misconception is that metal quality is the number one determination of a quality barn. Yes… we have high quality steel panels but the structure underneath is far MORE important. When a building gets larger so should its foundation. When a building gets taller so should its foundation. There’s a long list of reasons that all structural engineers would agree concrete pier sizes need to grow. Our minimum size concrete pier is 12″x36″ on a 12’x24′ building increasing to 36″x48″ on a 60′ clear span bearing wall without special instructions from a professional designer. 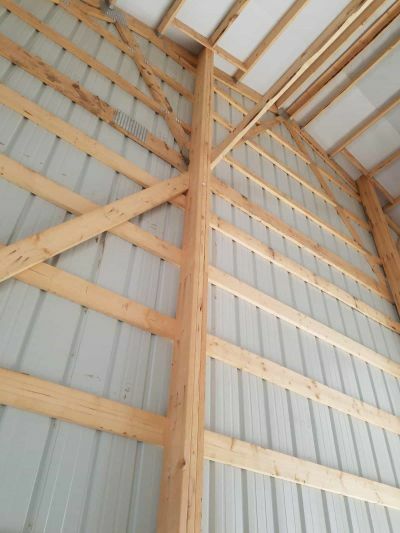 BOSS Sheds now builds pole barns without allowing the lumber to come in contact with the dirt. Primarily, we will use a wet set bracket that must be installed prior to pouring the concrete pier. This type of bracket will never be able to separate from the pier without breaking it into pieces. 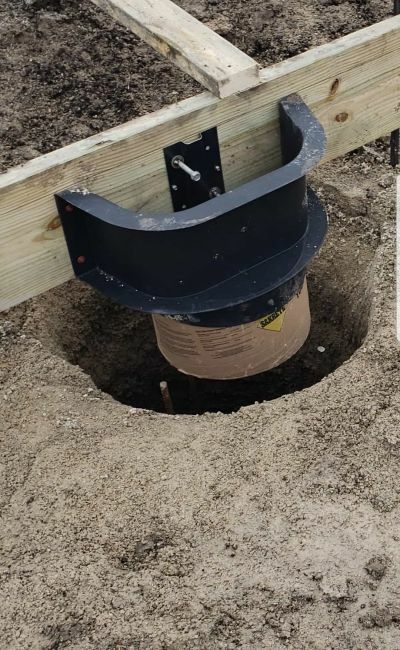 The other option is a bolt down bracket that is needed in certain situations such as when pouring a continuous foundation around the entire perimeter or adding a post after the concrete has been placed. Post sizes follow the same size increases as the foundation. We use laminated columns, as dimensional lumber is accessible almost anywhere and we can easily upsize from 2×6 to a 2×8 or even 2×10 in certain situations. We apply a generous amount of adhesive glue and consistent nail patters to our columns and use quality lumber. 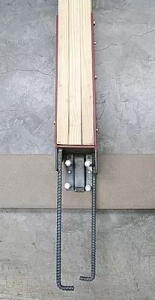 There will be no splice on any post 20′ and shorter. Many pole barn companies know that a standard 5×5 or 6×6 is not fit for all size structures but refuse to inform the end user because they fear the risk of losing a sale. Although it can typically be added later if you catch it before they lean, we take wall bracing very seriously. Not always can you rely on your metal panels to brace your walls. 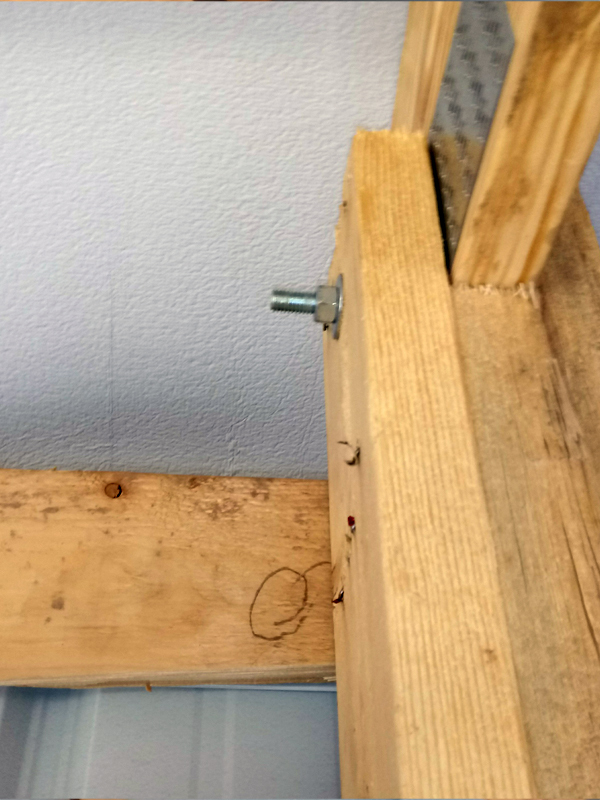 Often a wall will have a large percentage of its area taken up by a door opening, which leaves inadequate room for traditional “X” bracing or panel bracing. We like to address these issues in the early planning stages. We also use continuous-span gable posts, 2′ on center 2×6 wall girts, and 2×6 continuous gutter fastener boards for maximum sheer strength. 2×10 grade boards are used to maximize clearance between your finished ground covering and siding. Our roofs stand above the competition. 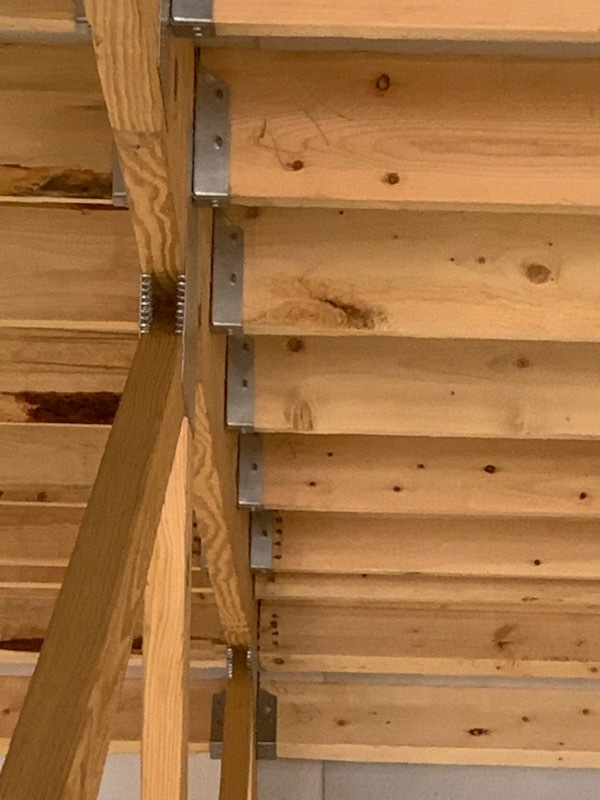 We place 2×6 lumber on edge between 10′ on center engineered trusses, nested in Simpson strong tie saddle hangers, not 2×4 nailed flat on top or on edge. No other building method will offer a stronger uplift against winds or the snow load capability. By placing the lumber between we eliminate the pivot point loads that can cause roofs to fail. 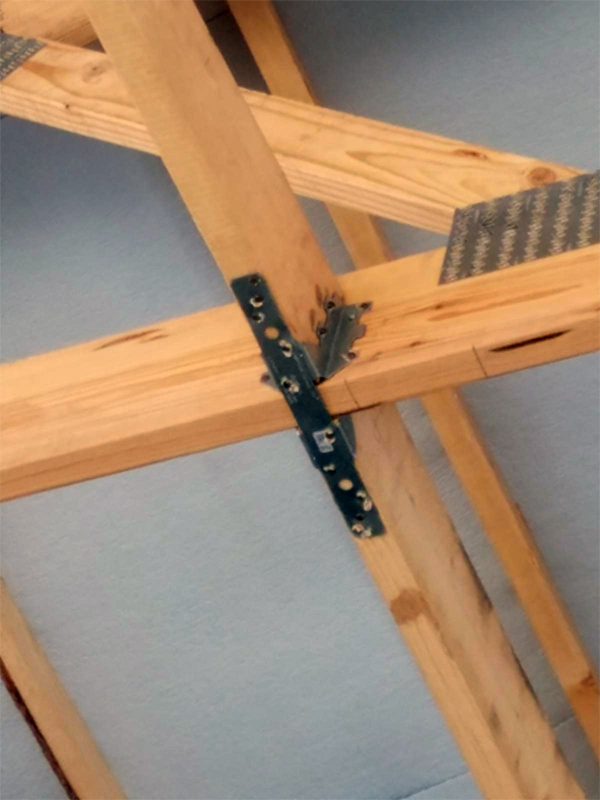 All of our bottom cord truss bracing is also placed on edge in joist hangers and tied together with 12″ wind strapping, keeping the structure held tight together. Our trusses are pocketed in our columns and through-bolted for a superior up-lift resistance. Ufer grounds are essential if you plan on wiring your structure for electricity and come standard on all BOSS Sheds structures, just show us where you want it. It is required by Kansas City, MO and Johnson County, KS code and therefore we believe it ought to be standard across the board. 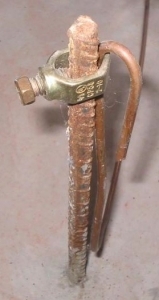 It will save you in the long run when it comes to wiring.